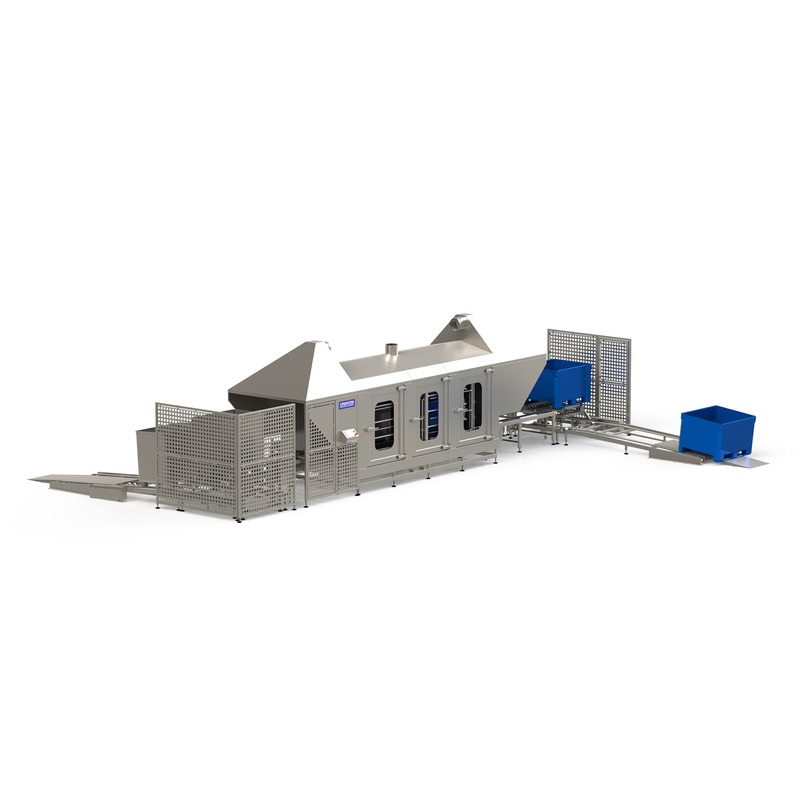 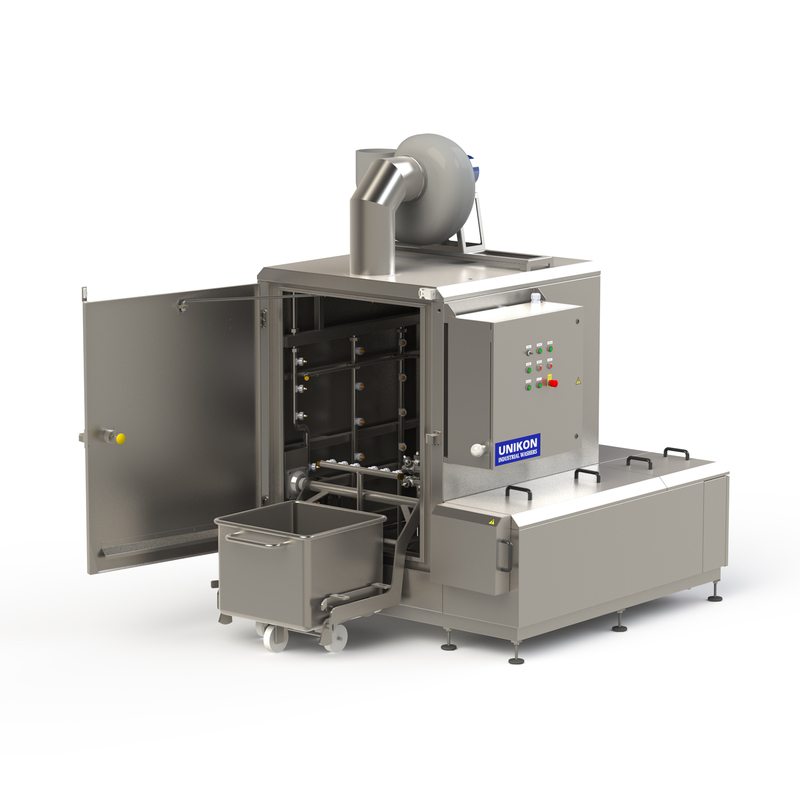 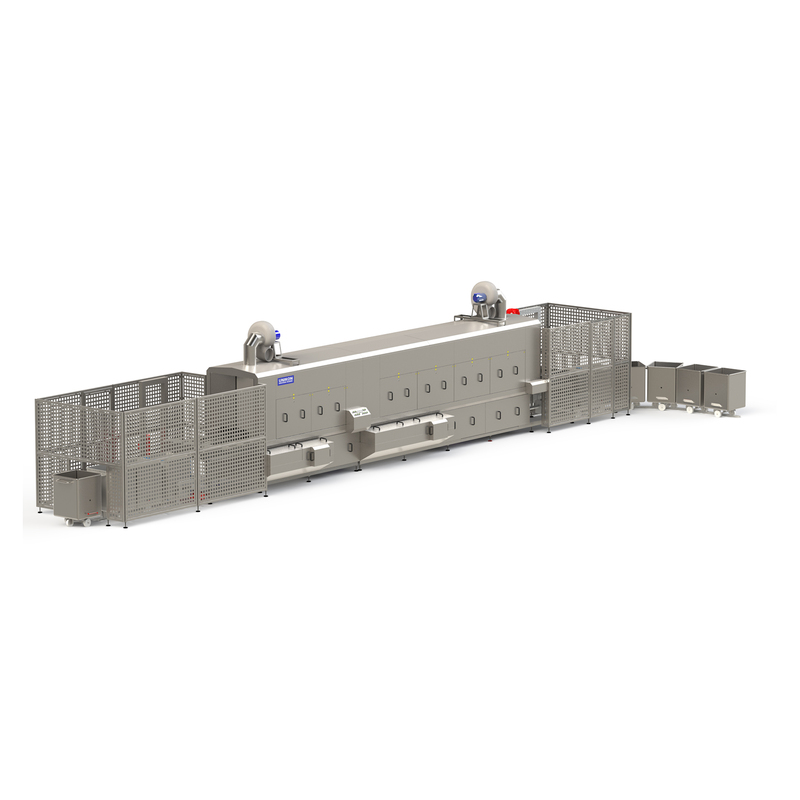 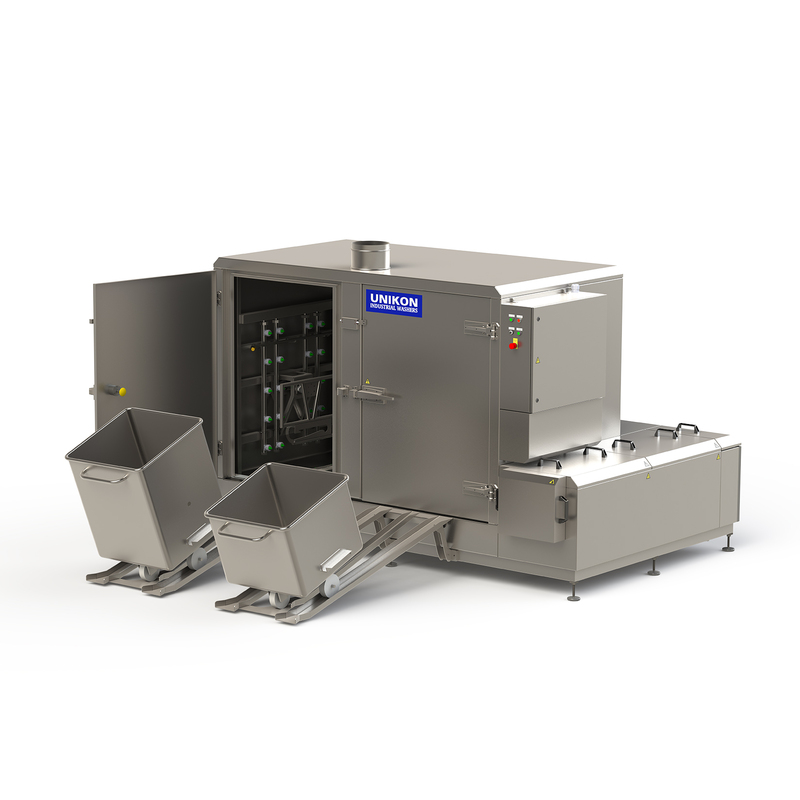 We are offering Unikon’s PRW and K series for washing the steel bins often being used in meat factories and for plastic pallet boxxes. 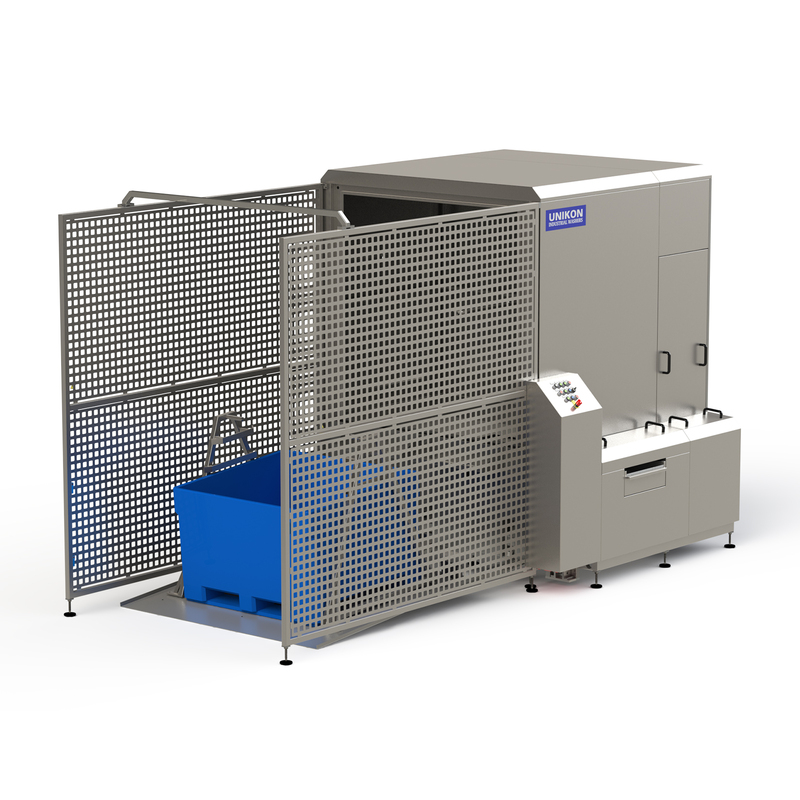 We will adapt your container washer to the type op containers you use and the quantities you want washed. 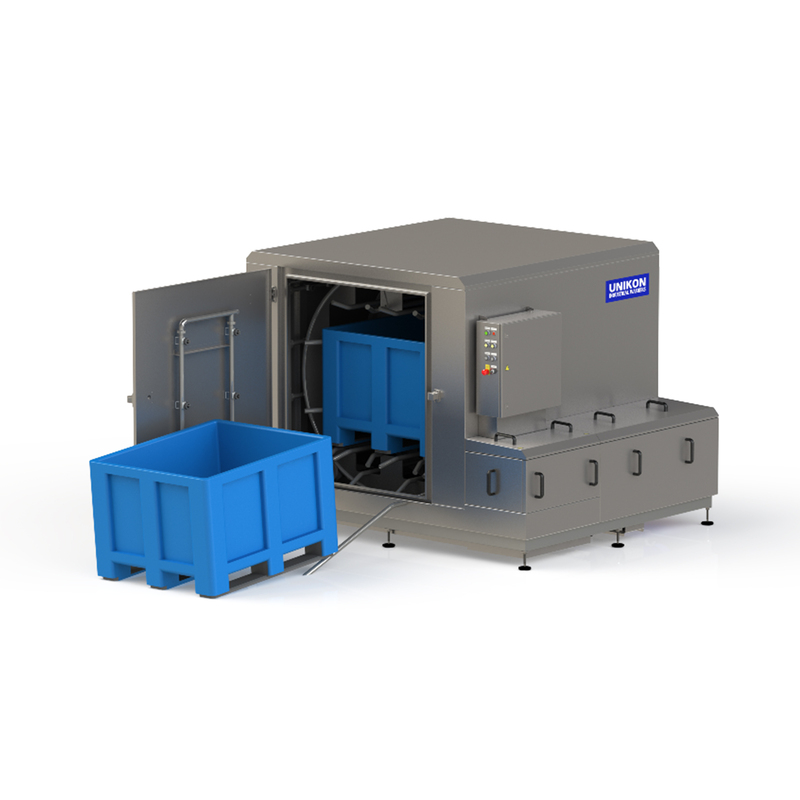 There are businesses that wash only a few containers each day in a manually operated container washer. 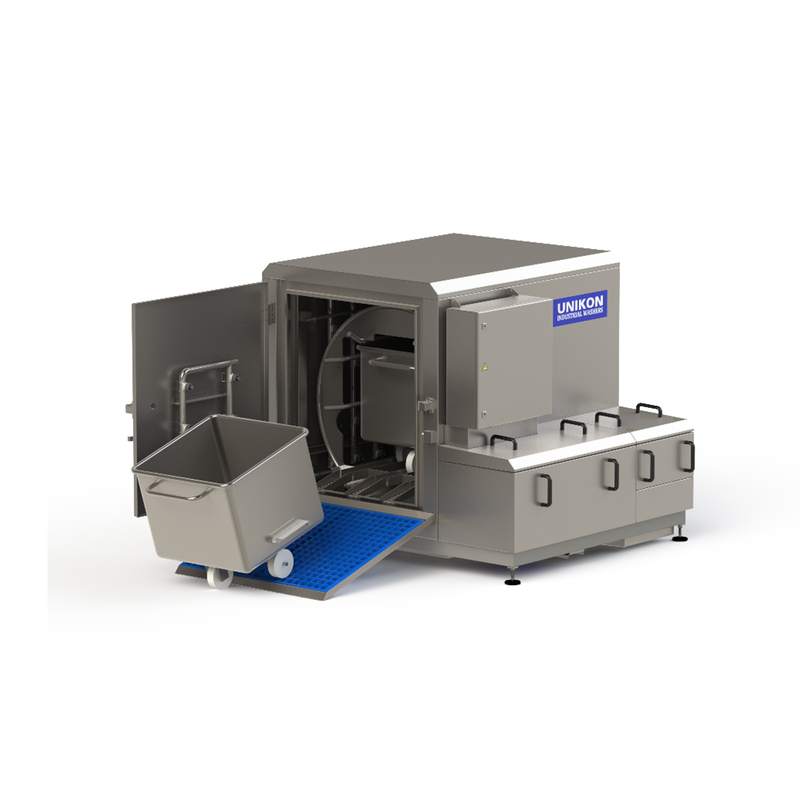 We have, however, also developed container washers for companies that clean dozens of containers per hour.